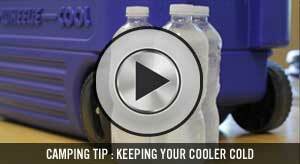 Summary : In the world of super tough roto-molded coolers it's hard to beat the Yeti. The Tundra 45 is the perfect size for weekend warriors and will last a lifetime. If you’re in the market for a rugged, roto-molded cooler you’ve definitely heard of Yeti. They’ve been around since 2006 and are well known for good reason: they make a great cooler. Here are the things we liked about the Yeti Tundra 45 Cooler. 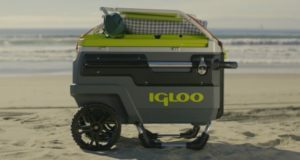 Functionality: The cooler has a few features on it that are truly designed for bringing it any and everywhere. We like the molded in tie-down slots on each side. This makes it easy to secure it to an ATV or kayak and still open the lid. It also has non-slip feet and double haul handles, making it easy to lug it around. The Never-Fail lid is also a nice feature, which makes it almost impossible to over extend and break it. 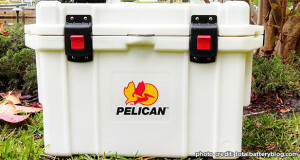 Ease of Use: We really like the T-Rex Lid Latches on the Yeti Tundra 45. It secures the lid tightly, but is still very easy to open and close. This can’t be said of many lids out there. Durability: This is where the cooler shines. It’s hard to imagine what would make it more durable. 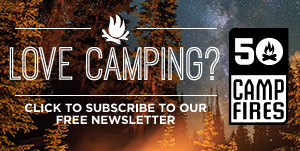 If a grizzly can’t get into it we’re pretty sure it will stand up to a rowdy family of four for many years. 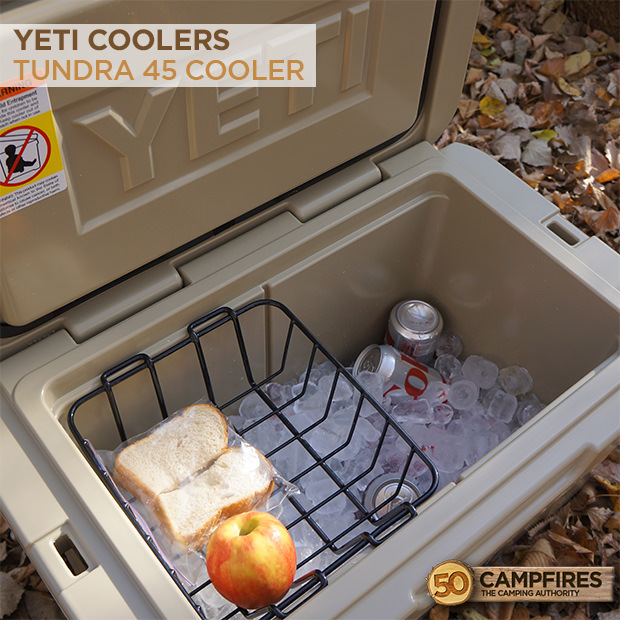 Value: The Yeti Tundra 45 is priced competitively among other roto-molded coolers. The five year warranty combined with the extreme durability make it a great value in our opinion. Weight: All roto-molded coolers of this size are over 20 lbs, so if you’re upgrading from a cheaper, lighter cooler that’s something to keep in mind. After you add a case of beer and ice you’ll be getting close to 50 lbs. The upside of that is that it makes for a very stable fishing platform or extra seat (they sell fitted seat cushions on their website).